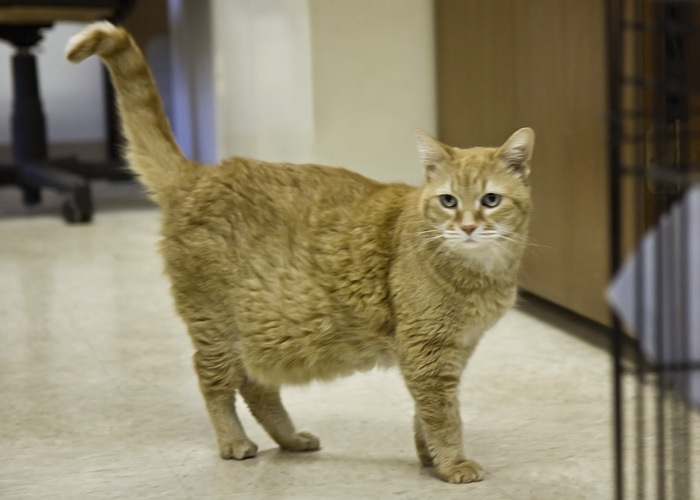 Here are three adult cats that are available for adoption at the Humane Society of Noble County. They are all between 1 and 3 years old. All three have had shots, flea prevention and worming. London and Gidget have been FI-tested and are negative. Diva has not been tested yet. This is Diva. 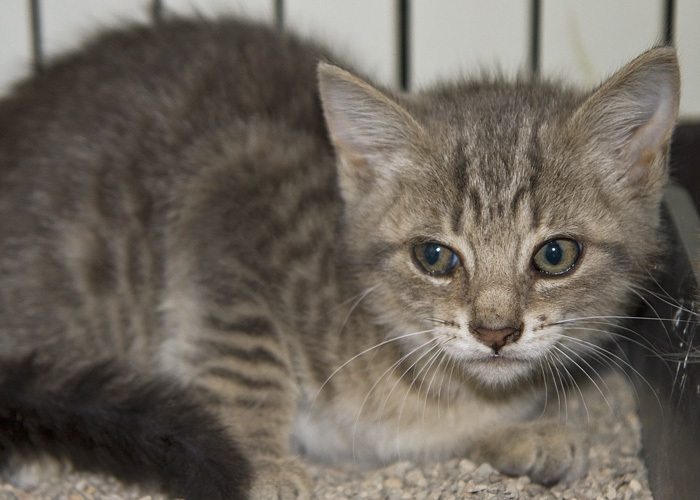 She is white with black and tan tabby markings and a little bobtail. 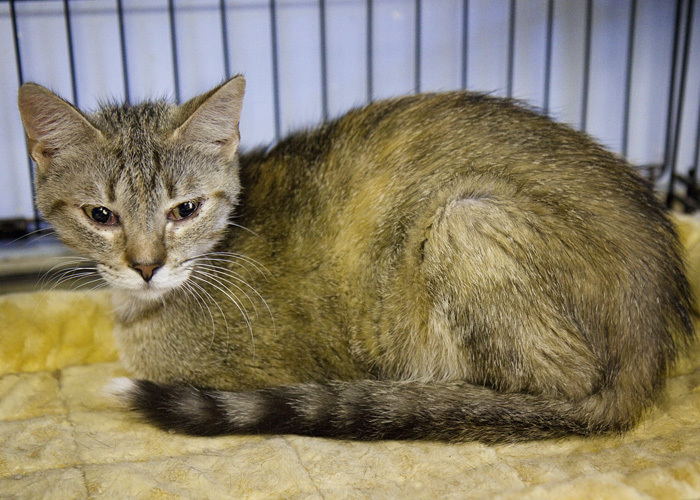 She has the tabby M on her forehead and beautiful green eyes. Diva is often very silly. For some reason, she likes to rest in the very small space between her litter box and the side of her cage, rather than in her nice gold bed, lower right. She is a friendly, cat with a fitting name! 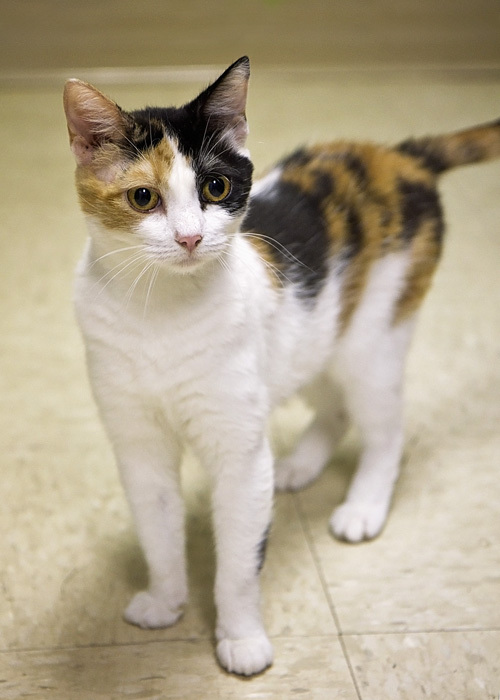 This is Gidget, a beautiful, colorful calico female. Gidget was looking at a toy which was being held up high. Doesn't she have a pretty profile?!! Gidget's eyes are almost gold to match her coloring. She loves attention and would make a wonderful pet! 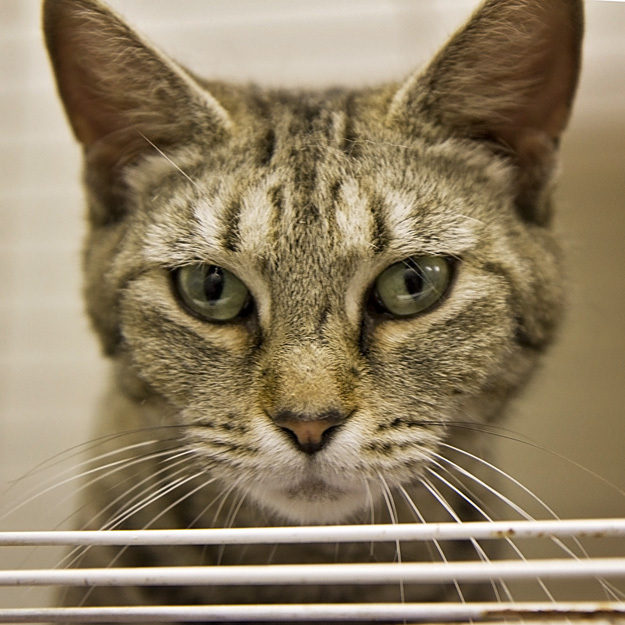 This pretty girl is London, who would not come out of her cage the day I wanted to take her picture. She is too comfortable in her soft, furry bed. 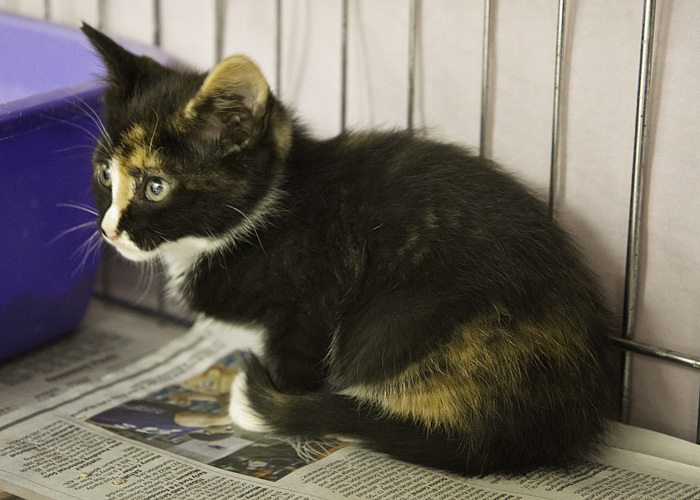 Look at her beautiful coloring - an interesting mixture of orange, black and gray. Here's a close-up of London. Look at those big eyes! 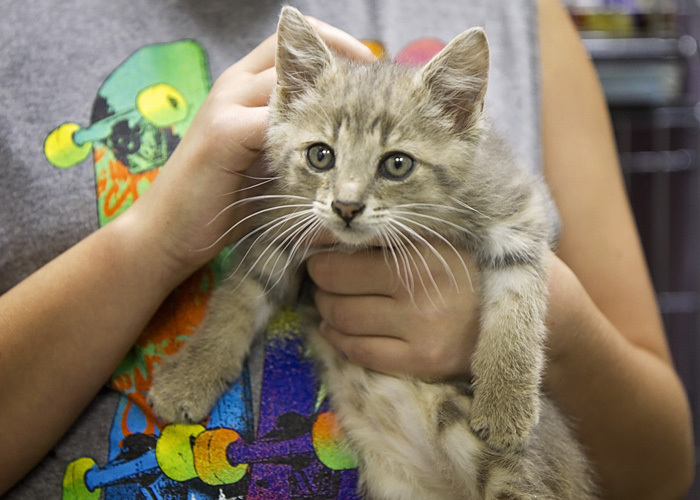 Please come to the Humane Society of Noble County to visit the many wonderful animals that are waiting for their forever homes. You will find one that you love!! 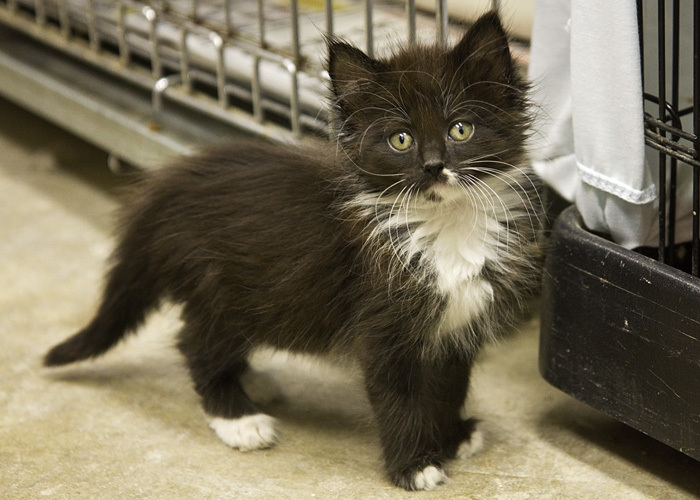 Here are two look-alike kittens who are brother and sister. Both are gray and tan tabbies. They are about 3-4 months old. The male is Andre, and the female is Anya. They have both had their shots, flea prevention, and worming. This is Andre, the male kitten. Here he is watching a toy that someone was moving around on the floor. Now he is watching the feather on the end of the toy, trying to decide if he can catch it. Andre wore himself out playing, and now he is resting in his bed! This is Anya, the female kitten. See how much they look alike!! You can see the blurry end of the toy that she is watching. Anya has been checking out the kittens in the other cages. 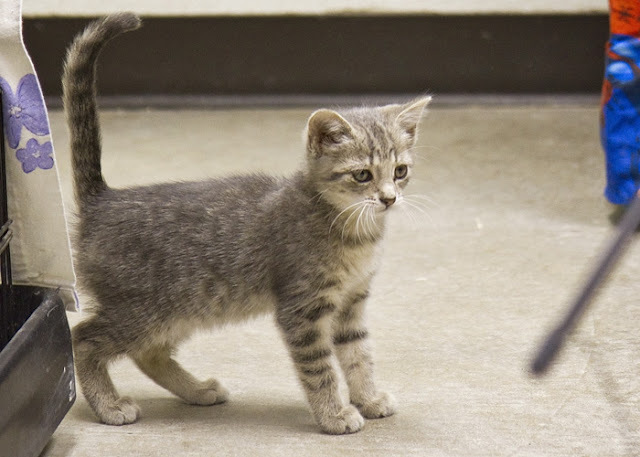 These kittens are available for adoption at the Humane Society of Noble County. They have been at the shelter for a little over a week and would love to have forever homes. They are both friendly and playful and love attention! 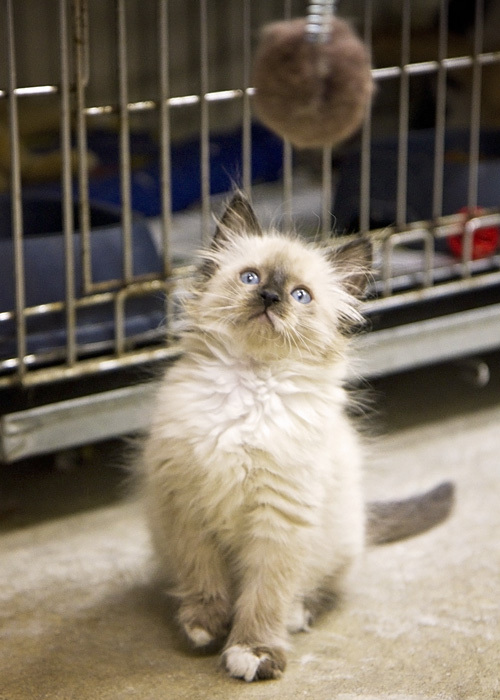 Please come to the shelter to visit them and all the other wonderful animals! 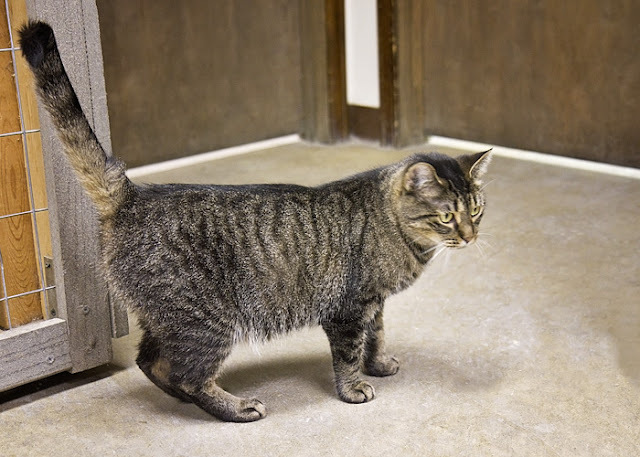 Today's cats are three adult cats that are available for adoption at the Humane Society of Noble County. 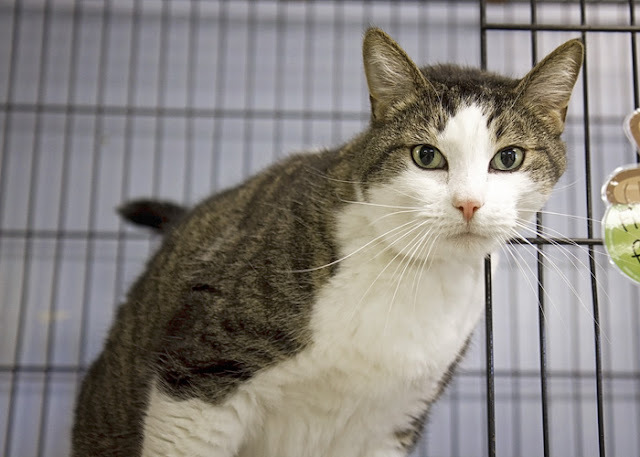 Please read the descriptions of each cat, then come in to the shelter to visit these cats and all the other wonderful animals there who are waiting for their loving forever homes. First up is Mittens, a black, gray and tan female tabby. She is approximately 1-2 years old. 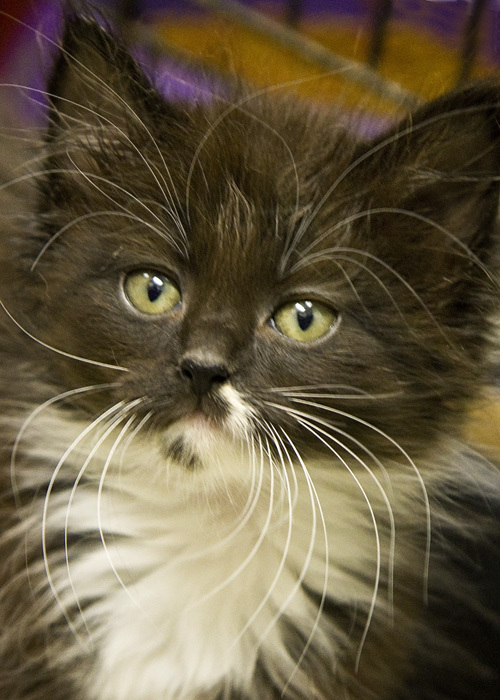 Mittens is up-to-date on shots, flea prevention, and worming. I had to wake her up to take her picture, and she wasn't real happy with me. She is a little shy, too, but she is a beautiful, loving cat. She has been at the shelter for about 3 weeks. 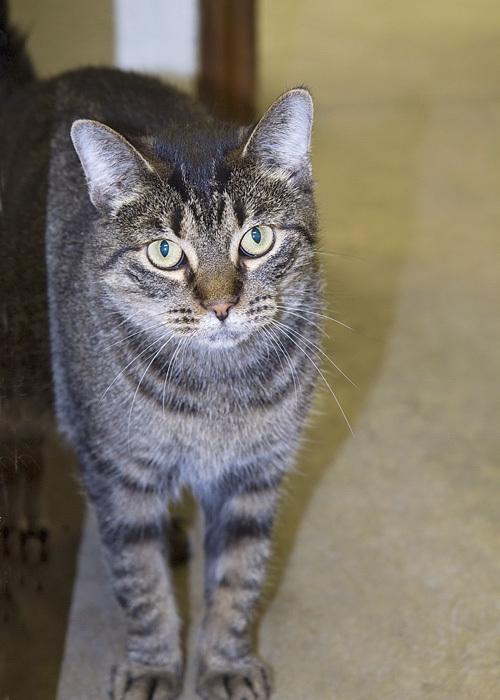 Meet Rebel, a black, brown, and tan male tabby with a white chest and belly and white on his feet. He is approximately 1-2 years old. Rebel has had his shots, flea prevention, and worming. 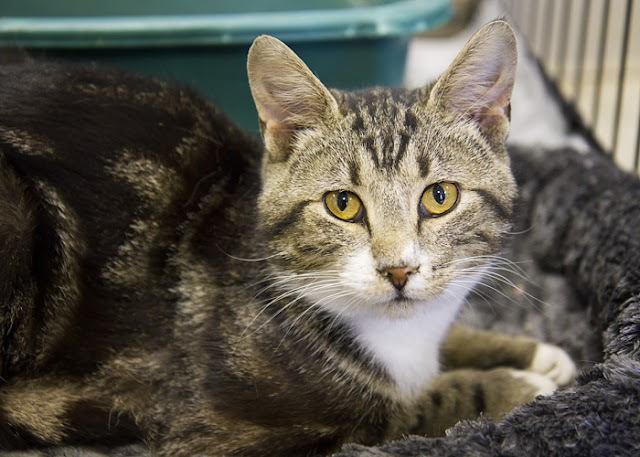 he loves human attention and likes to be cuddled and petted. He has only been at the shelter for a couple of weeks. 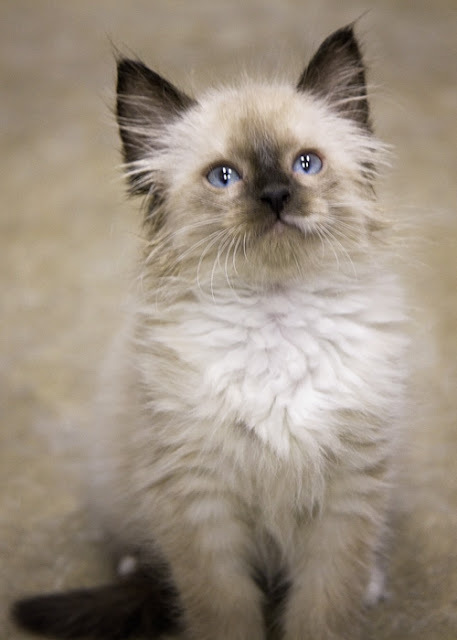 Look at those beautiful eyes! 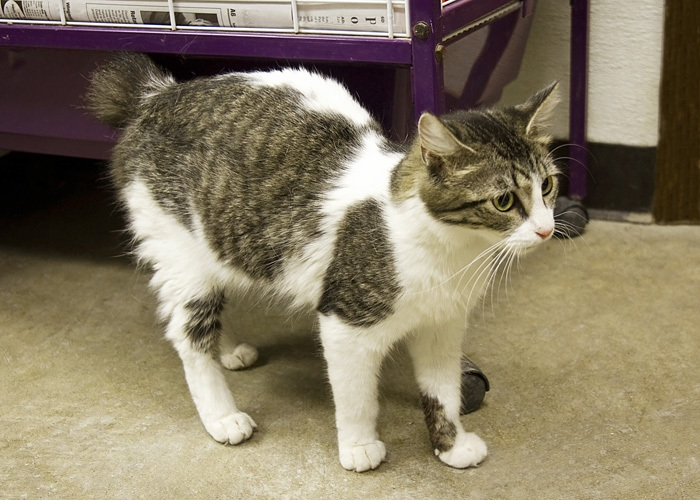 This is Tomas, a black, brown, and white male cat who is around 1-3 years old. 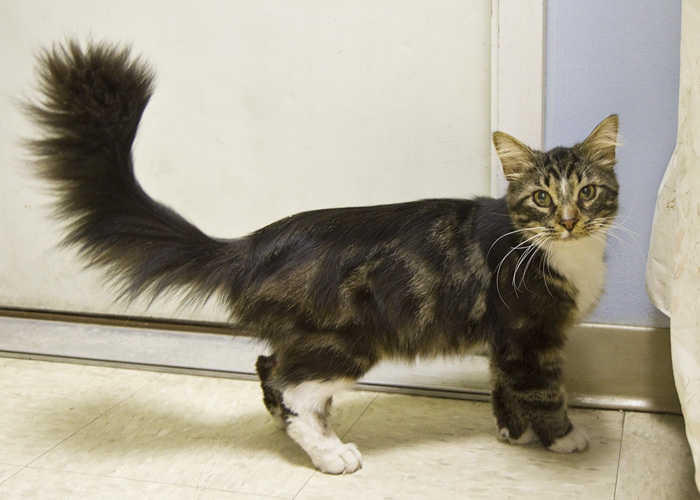 Look at his fluffy tail! 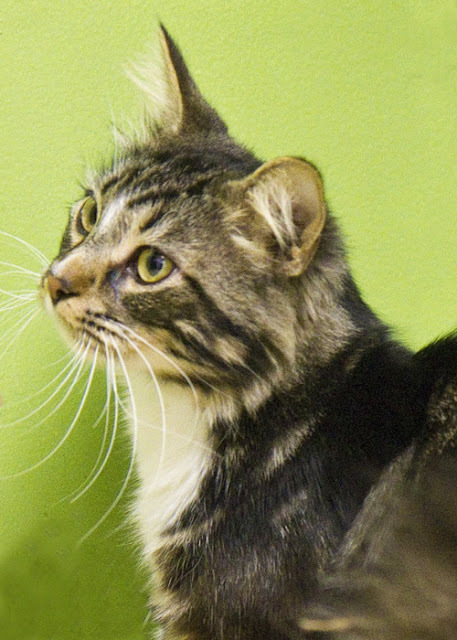 Tomas is neutered, up-to-date on shots, flea prevention, and worming, and is FIV-negative. 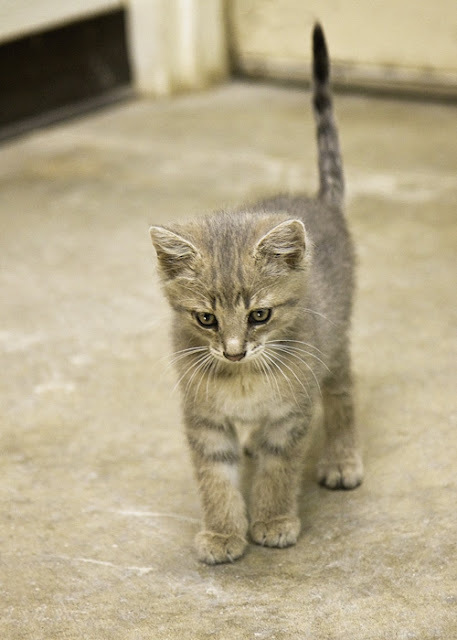 He has been at the shelter for a couple of weeks. Isn't he a handsome boy!! These cats would love for you to come visit them. Hopefully, you will want to make one of them yours! 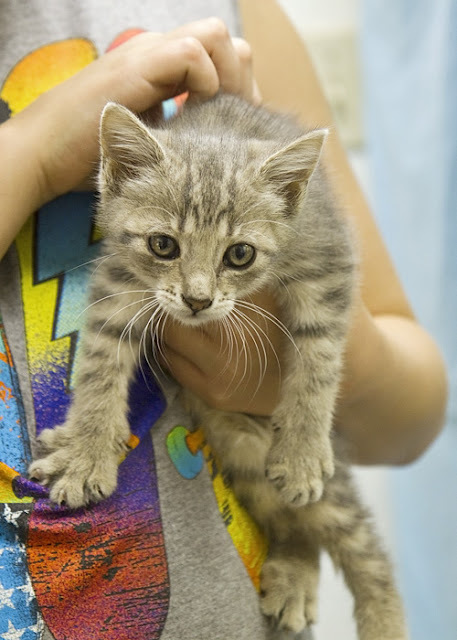 Today we have four more kittens who are relatively new to the Humane Society of Noble County. 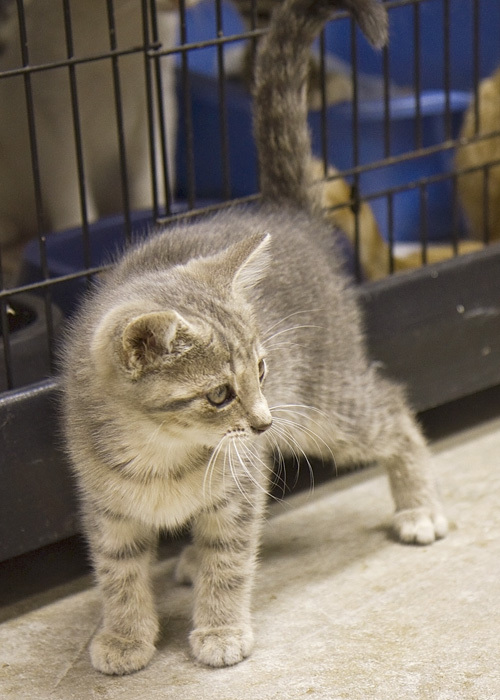 These fur babies, as well as many other cats and kittens, are waiting for their new forever homes. 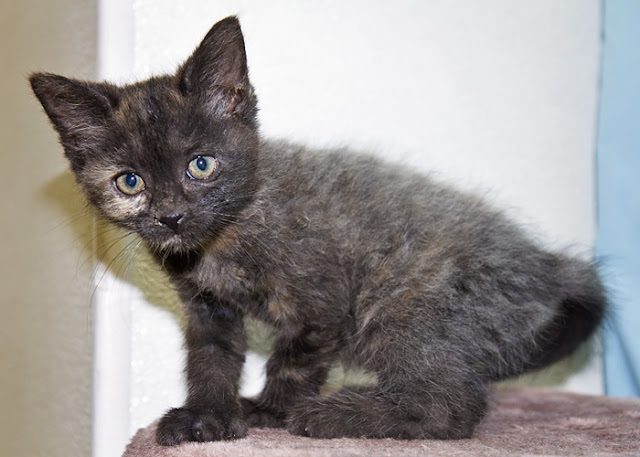 This is Sasha, a little black bobtail female with some random tan patches and tan on her feet. Sasha is 2-3 months old. She has been wormed and is up-to-date on shots and flea prevention. She loves to explore her surroundings! This isn't a very good picture because she was on the move, but it shows her little bobtail. 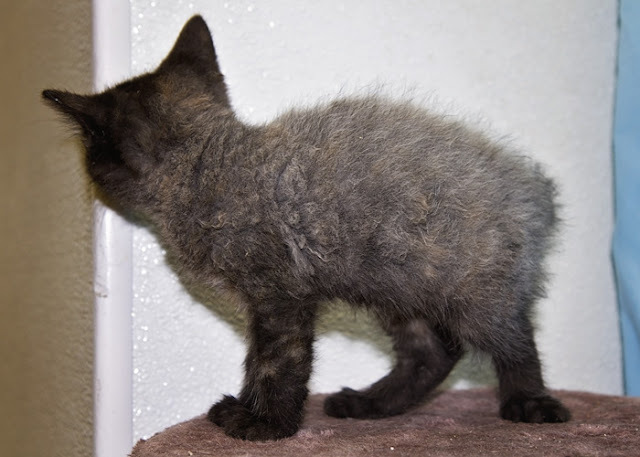 Here is Shasta, a tiny female who is black, gray, and tan, with unusual coloring and sort of nappy fur. She is about 8 weeks old. 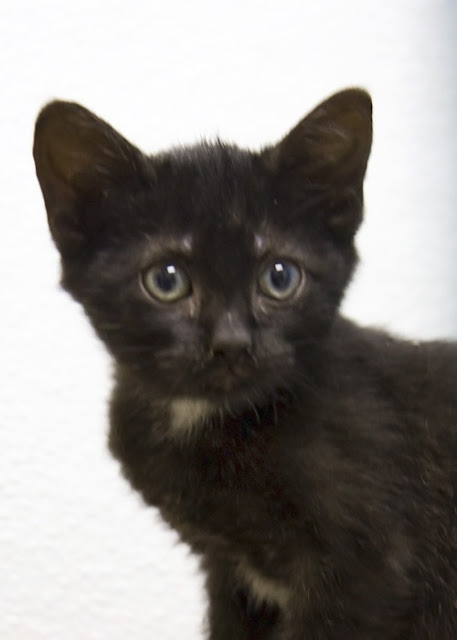 Shasta has had shots, flea prevention, and worming. 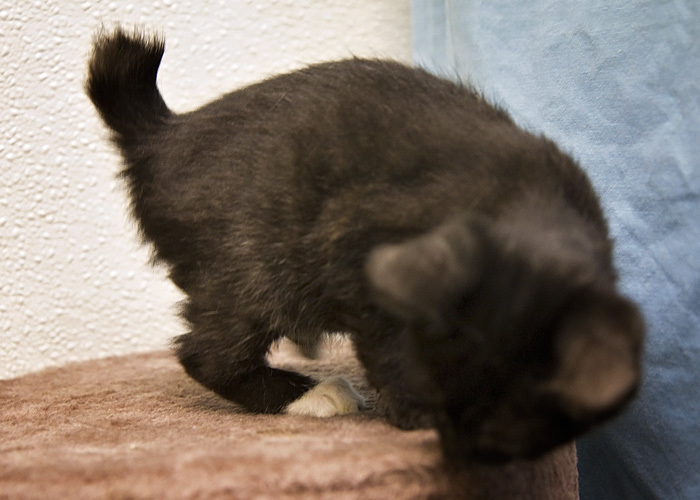 This picture shows another view of her unusual fur. 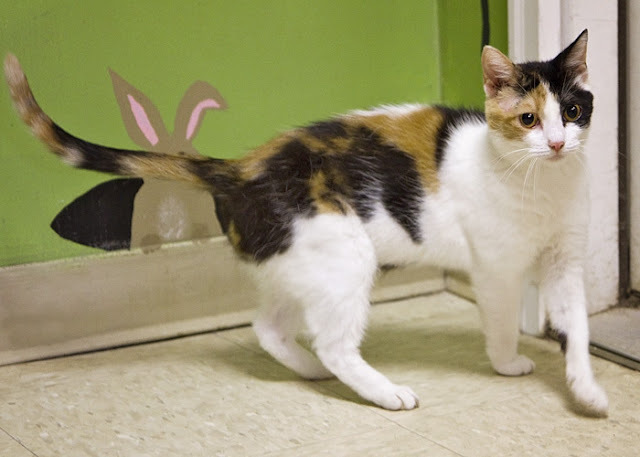 Shasta is very silly and playful and loves attention! 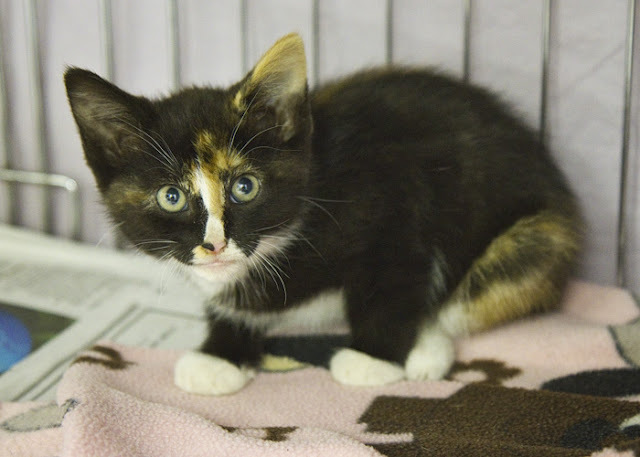 This little beauty is Shyla, a black, orange and white calico with big green eyes! She is about 3 months old. Shyla is up-to-date on shots, flea prevention, and worming. She has only been at the shelter for about a week. 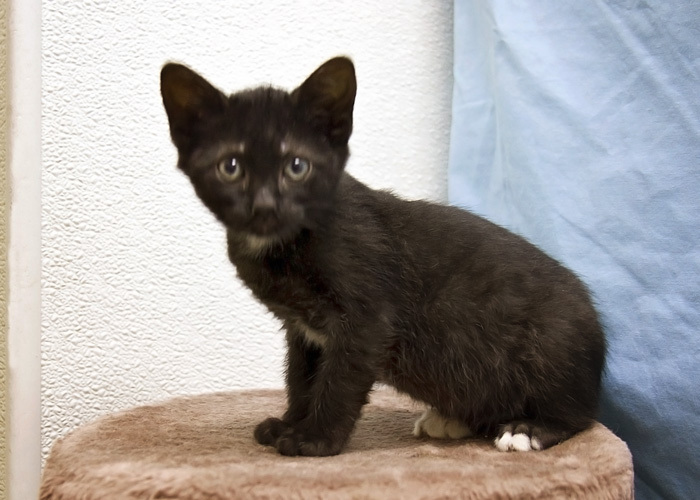 Shyla's name is fitting because when she first came to the shelter she was very shy, and would hiss at people and even other kittens. But she is quickly overcoming that. She now loves to play with the other kittens in her cage, and she let me get her out and hold her for a while, purring loudly the whole time! This handsome boy is Yeti, an all-white kitten who is approximately 4-6 months old. Yeti is current on shots, flea prevention, and worming, is FIV-negative, and was neutered on the same day that I took his pictures!! That certainly didn't slow him down one bit! 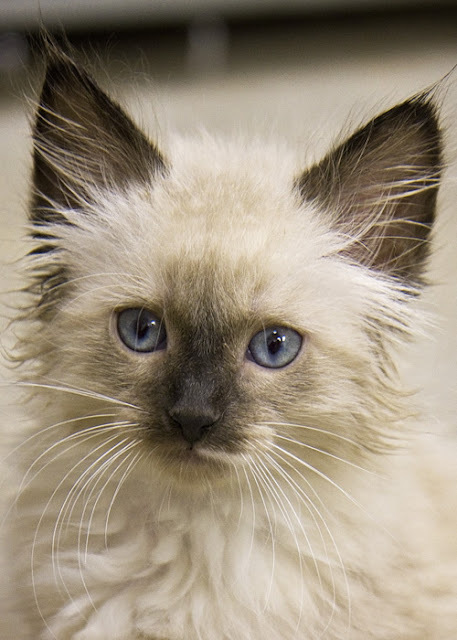 Yeti is curious and playful, and he likes human attention! Here he is getting ready to attack another kitten! 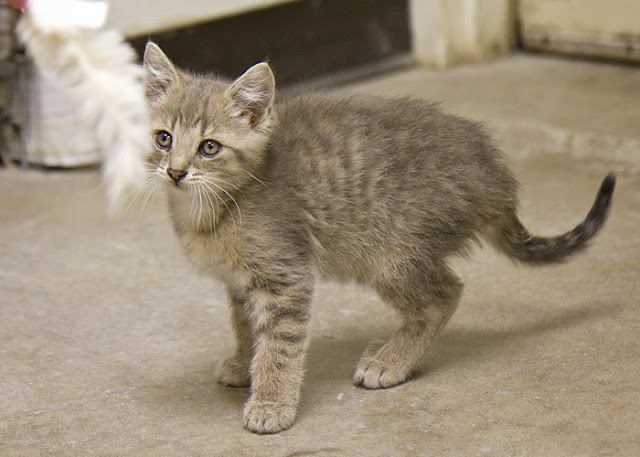 Please come visit these kittens and all the other wonderful animals at the Humane Society of Noble County. They are waiting for nice, loving homes. Could it be yours? 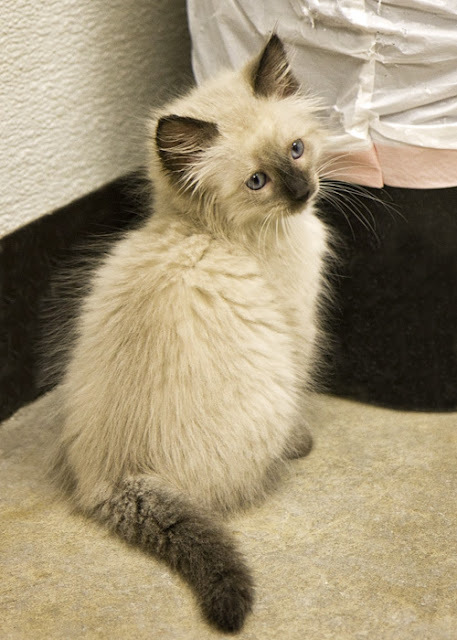 Maybe you would like to get a cat, but you don't want to deal with training an energetic, rambunctious kitten. 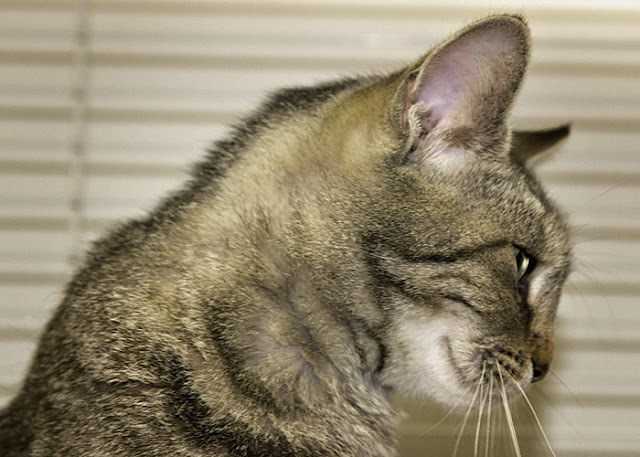 You should consider an adult or even a senior cat. 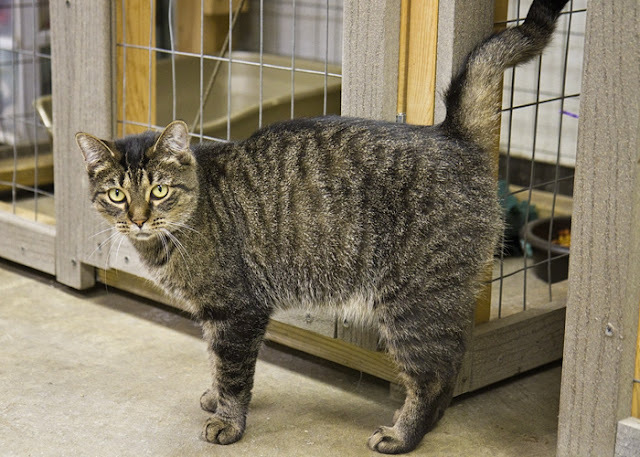 There are many older cats available for adoption from the Humane Society of Noble County. 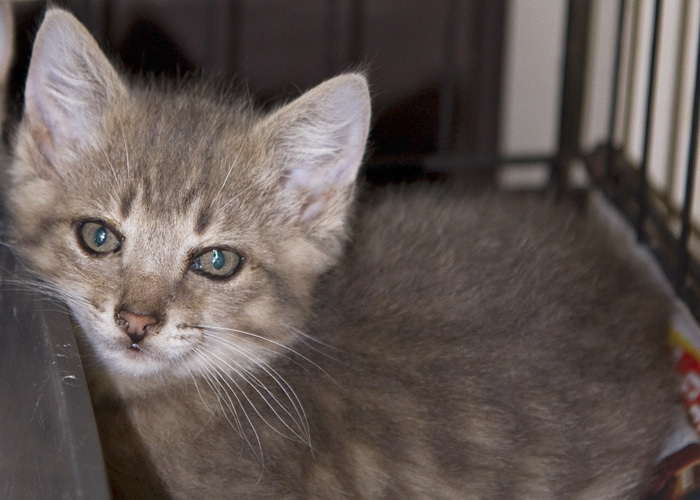 Many of the older cats have already been declawed and/or neutered. They are already litter box trained. They still like to play, but their play is a little more under control than a kitten's. 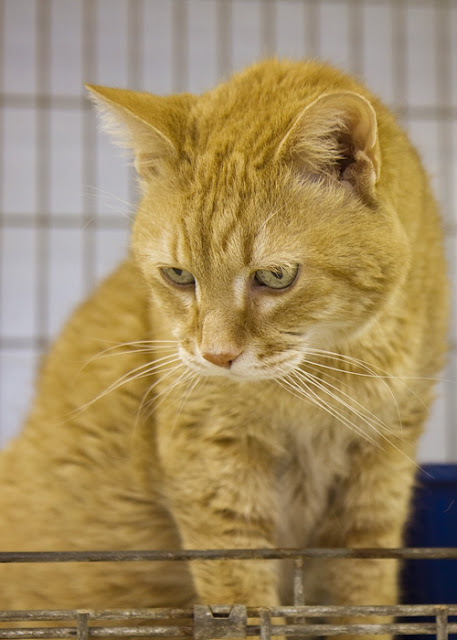 Most of all, these older cats just want attention from a loving human and a nice home to live in. Today I will feature 4 of the many older cats at the shelter. 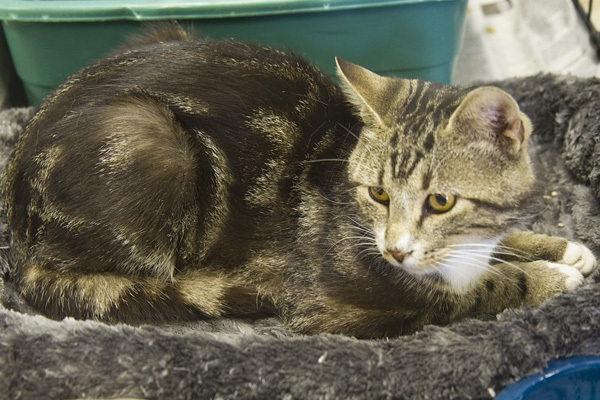 This is Sandy, a black and tan tabby with tiger stripes. She is approximately 4-6 years old. Sandy has been at the shelter for 2-3 weeks. Look at those eyes! She is asking you to come choose her for your loving pet! 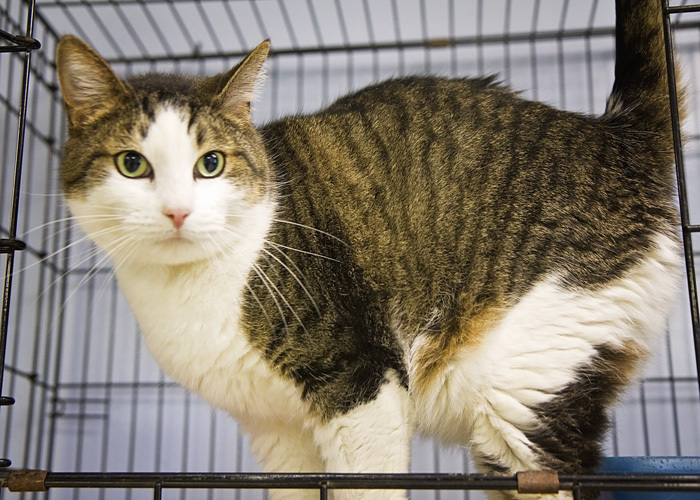 This girl is Snowball, a black, tan and white cat with a lot of tabby markings. She is approximately 5-6 years old. 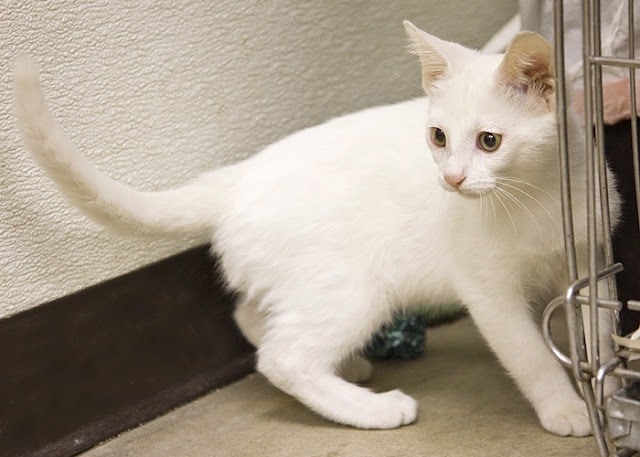 Snowball is spayed and declawed, and is up-to-date on shots, worming, and flea prevention. She is FIV-negative. She has been at the shelter for about 3 weeks, and would love for you to give her a new home! 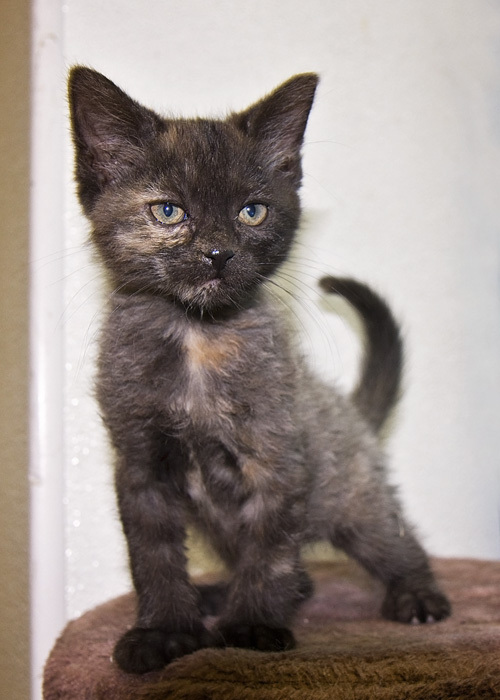 This is Lilly, a dilute calico. 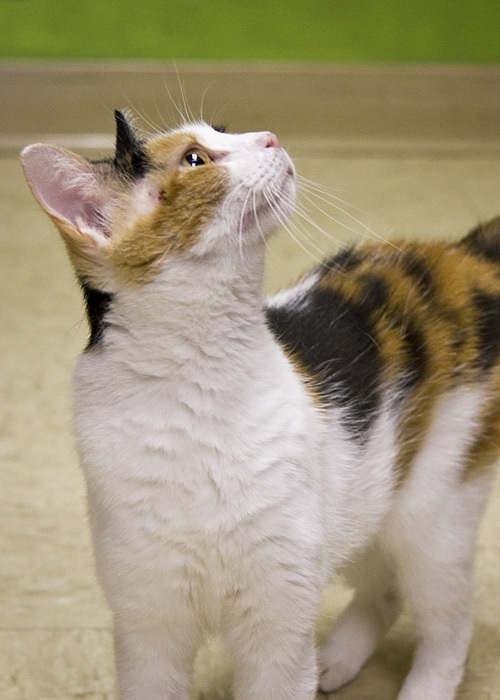 That means that she has the three colors of a calico, (black, orange, and white) but her colors are muted. 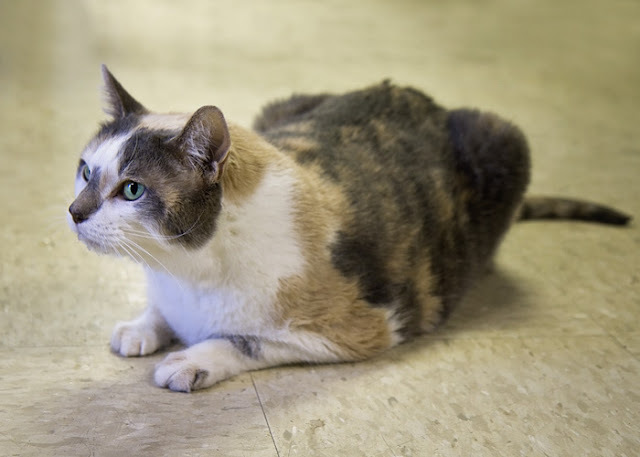 Lilly is 8 years old and has been at the shelter for 3-4 weeks. This picture shows how content she is to be held and petted! 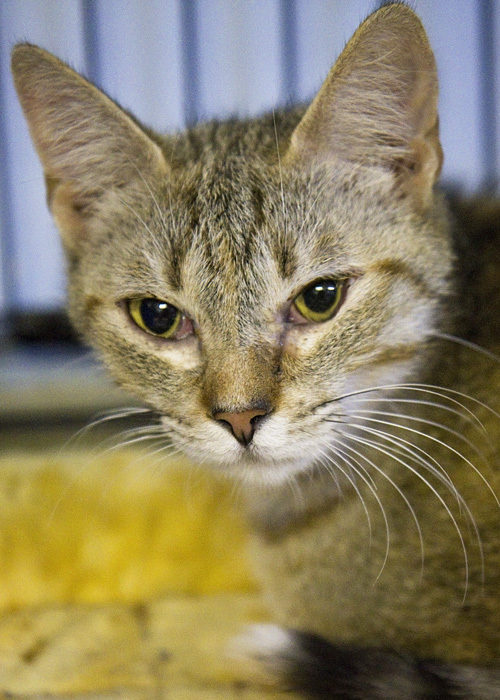 Lilly has been spayed and front-declawed. She is also current on shots, flea prevention, and worming, and is FIV-negative. Lilly is a big girl, weighing in at almost 16 pounds. Look at her beautiful green eyes! Come visit this big love bug! This guy is Tabby, an orange male tabby who is approximately 13 years old. He is neutered and declawed. Tabby kept going behind the front desk where he thought he could get some attention from the employees. 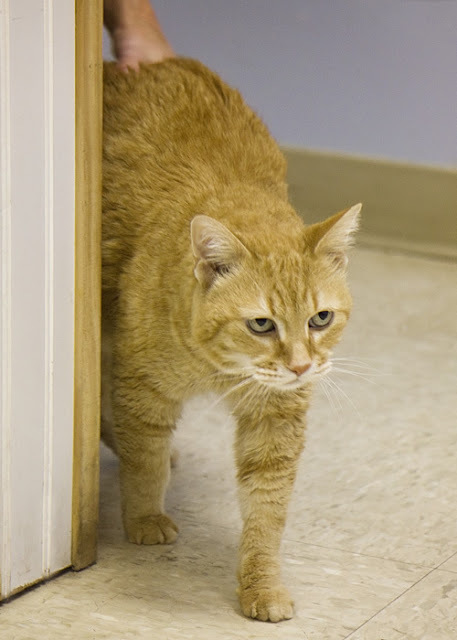 Tabby is up-to-date on shots, flea prevention, and worming, and is FIV-negative. He has been at the shelter for about 3 weeks. 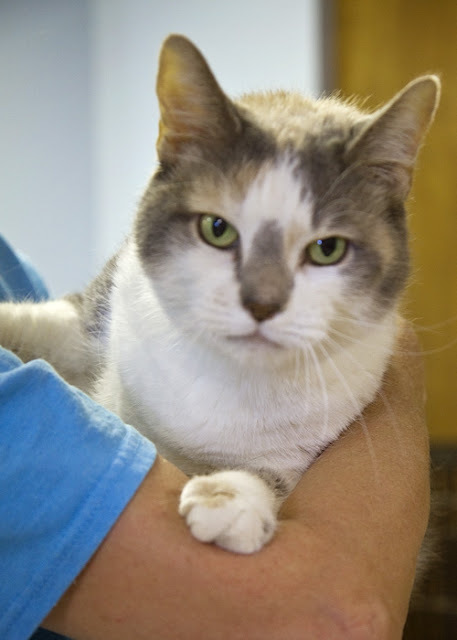 This friendly senior cat would really love to have a forever home for the rest of his life! Last week I photographed 4 more unbelievably cute kittens at the Humane Society of Noble County. They are all sisters, and have only been at the shelter for about a week. They are approximately 2-3 months old. They have all had their shots and flea prevention and have been wormed. I have several pictures of all these kittens, so I will post 2 kittens at a time. Yesterday I featured Kaila and Tisha, and today I will feature Lana and Mitzi. This little sweetheart is Lana. 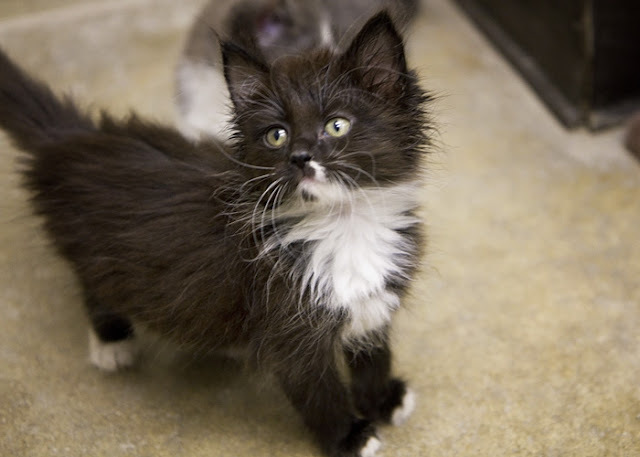 She is a long-haired black kitten with white chest and white on the tips of her paws. Lana was just waking up when I got her out of her cage to take her pictures, so she had to have a big stretch! Look at her long white whiskers and gorgeous green eyes! 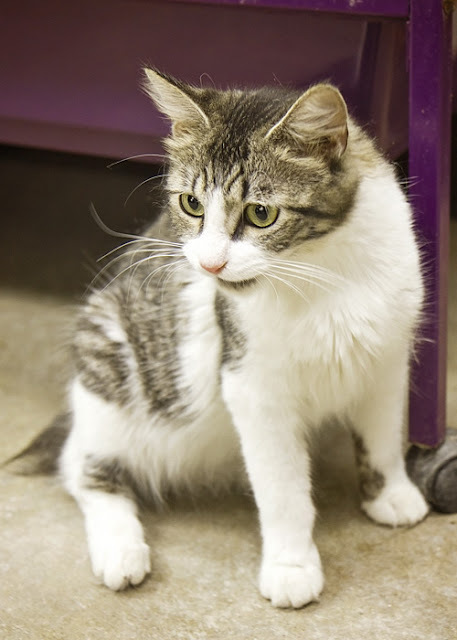 Once Lana woke up, she was quite playful, and she loves to be held and petted! 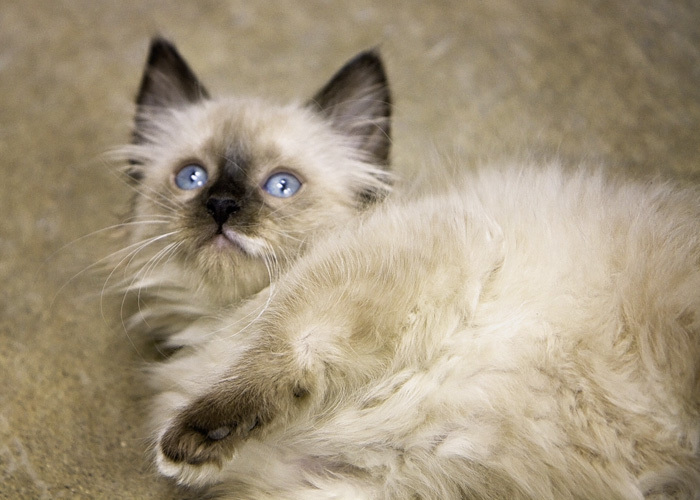 This is Mitzi, a long-haired kitten with Siamese coloring and blue eyes! 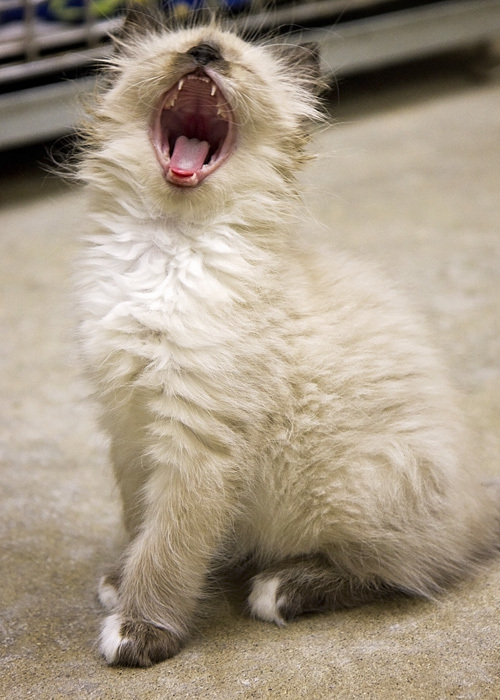 She was just waking up too, and I caught her in the middle of a huge yawn! Mitzi was interested in this toy, and is carefully watching it go back and forth. She was very photogenic and almost seemed to be posing! 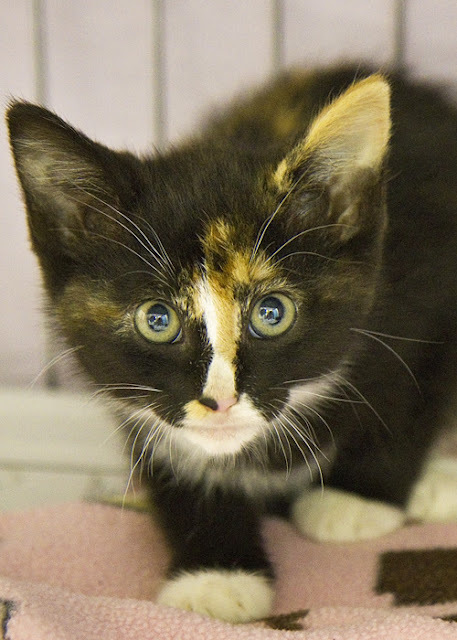 Mitzi has beautiful coloring and eyes! 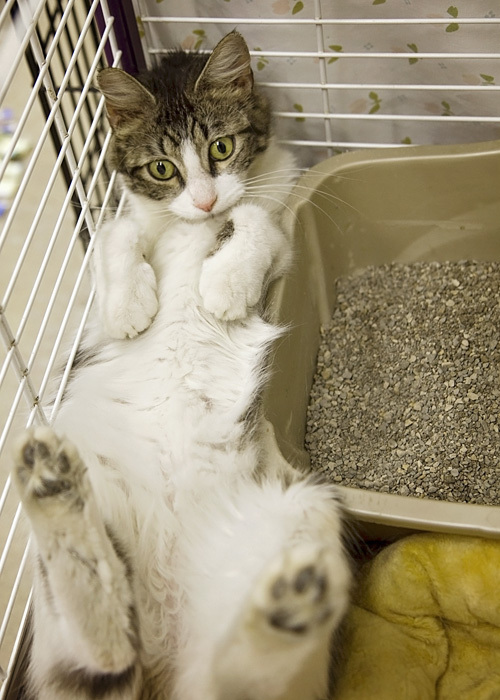 She is playful too, and loves human attention. Here she is watching that toy again. 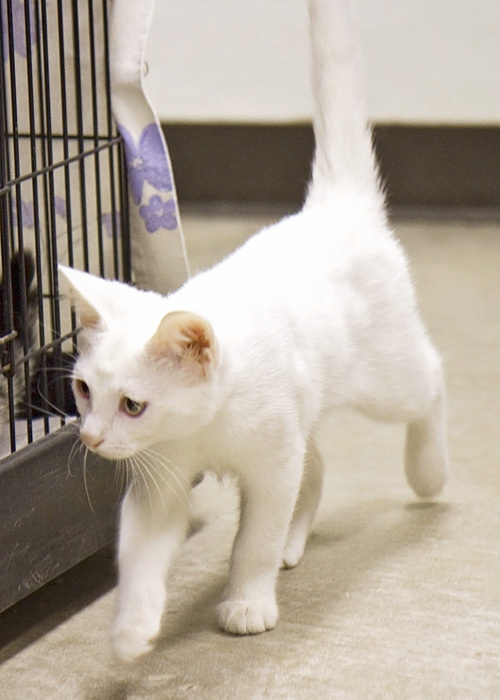 These kittens and many other kittens, cats, and dogs, are available for adoption from the Humane Society of Noble County. Come visit them and play with them. You will want to take one home!! Would You Believe - More Kittens! And the Kittens Just Keep Coming!